Do you know Roald Dahl? He was a great author of classic children’s books such as “Matilda“, “James And The Giant Peach“, and “Charlie And The Chocolate Factory“, many of which have been into excellent movies. When I was a kid I read his book “Charlie And The Chocolate Factory” and I saw the 1970’s film adaptation starring Gene Wilder that was titled “Willy Wonka And The Chocolate Factory“. The better movie version of this story was the one made by director Tim Burton and starred Johnny Depp. This version was titled the same as the book and more closely followed the storyline. In the story, Charlie finds one of the limited number of “Wonka Chocolate Bars” with a “Gold Ticket”. 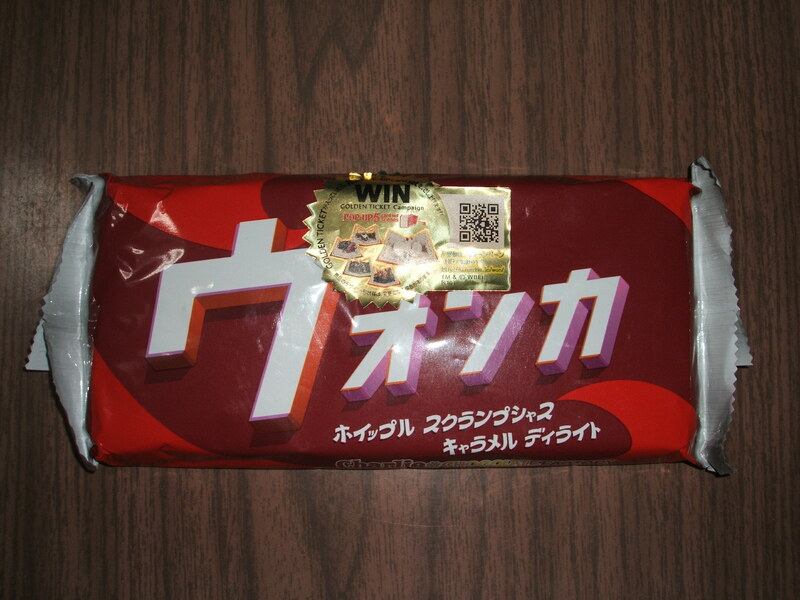 Similarly, I learned that most of the “Wonka Chocolate Bars” sold in Japan have the same English-language labels as the ones sold in other countries…but there are harder-to-find “Wonka Chocolate Bars” with labels with the name written in Japanese カタカナ (Katakana) characters. Well, I saw some in a store yesterday and, even though I don’t eat chocolate often, I bought one. 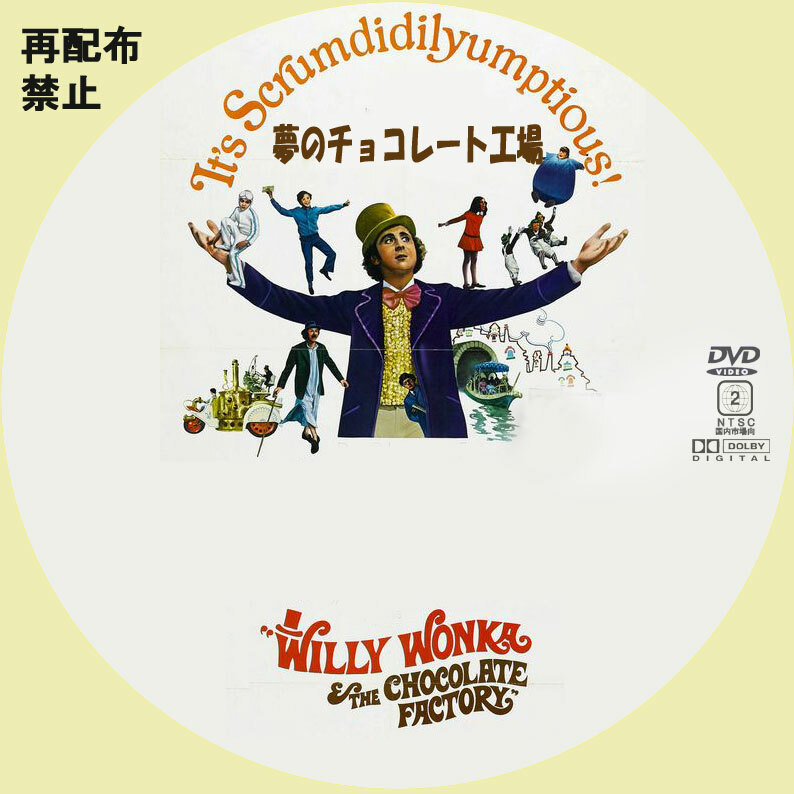 It says 「ウォンか」 which means "Wonka". I haven’t opened it yet. I’m going to give it to my kids but I’ll probably try a piece of it. Have you ever tried a “Wonka Bar”? Is it good? ← How is X-mas celebrated in your country? Anyone know where you can buy Wonka bars in Tokyo? For instance, the Sony Plaza import shops usually have them. Many thanks – will take a look. Not for me, you understand; my 6 year old has developed a passion for anything to do with Willy Wonka! Used to live here (most recently in Akasaka-mitsuke) for more than 10 years, butmoved to Shanghai about 15 months ago. Originally from England . . .
Now here for a week’s trip during Chinese NY. Why did you decide to leave after living here so long? >moved to Shanghai about 15 months ago. Wow! I’ve never been to China. Which do you like better, 東京(Tokyo) or 上海 (Shanghai) ? I’ve never been to Europe either. Chinese New Years was on Sunday, February 10th (2013) this year … did you go to the festivities in Yokohama Chinatown? I’ve never heard of real Wonka bars. Do they have occasional golden tickets? I like the original movie and I don’t really want to see the newer version. I’ve never read the book. It’s been awhile since you commented on my blog! >I’ve never heard of real Wonka bars. I think they’ve been making them since the first movie was released. I never tried one before though. Yesterday my kids ate the one I wrote about in this post…and I tried a piece. It was pretty good—but, as I said above, I don’t eat sweets often. >Do they have occasional golden tickets? Yes, actually they do. The winning tickets aren’t for “chocolate factory tours” though. The chocolate bar we bought says golden tickets (which we didn’t get one of) win a “pop-up card set”. >I like the original movie and I don’t really want to see the newer version. I’ve never read the book. The book and the 2005 movie are both much better than the “Willy Wonka” movie of the ’70s. I found the oompa Loompas in the most recent film to be really disturbing, other than that I enjoyed it a lot. As for the Wonka bars; I tried one or two and didn’t like them very much at all, far too sweet for my tastes. They were odd. But I thought it was Johnny Depp’s version of “Willy Wonka” that was creepy. >Wonka bars…far too sweet for my tastes. I haven’t tried the one I bought yet. I don’t have much of a “sweet tooth”, so if it’s too sweet I probably won’t like it either. When the movie came out I remember they were sold here, I think I tried the Whipple Scrumptious Fudgemallow Delight. I can’t remember what it was like though. I’ve never watched the 70’s one but I liked the 2005 one though. They have big Wonka bars here with purple wrappers – they came out as a tie-in to the Burton film. I’m partial to the Gene Wilder version myself, but that is because I grew up with it and did not read the books until adulthood. Our Wonka bars are too sugary for me. 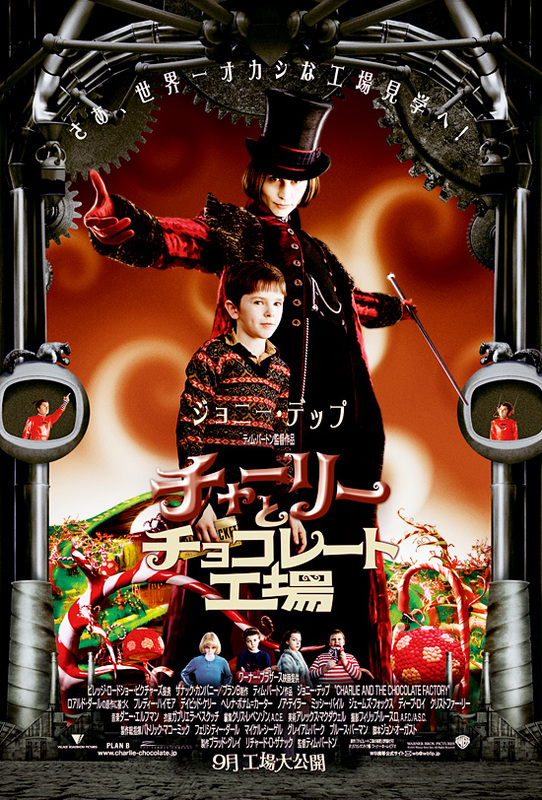 I mostly liked the 2005 version of “Charlie And The Chocolate Factory” better than the ’70s version…but Johnny Depp’s version of Willy Wonka was a bit creepy, I thought.